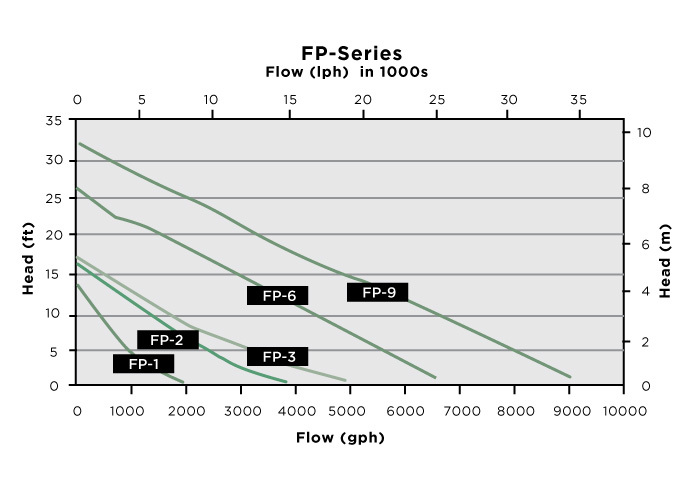 We offer the Little Giant® brand of WaterFeature Pumps to exacting specifications for optimum efficiency and long life. 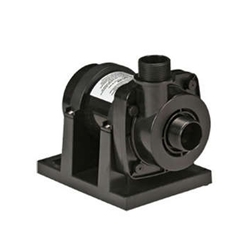 Our new line of “flexible” water feature pumps are designed for in and out of pond use, and are constructed with stainless steel and durable thermoplastic. Plus, each pump meets the rigorous demands of the most impressive water features. There are five different sizes to match virtually any application for use in or out of water. Recommended for Koi and Goldfish ponds as well as features without fish. Use in conjunction with Little Giant skimmers and biological waterfall filters for a complete, ecologically balanced system. Energy efficient and ideal for powering water features and pond filtration systems with flow requirements from 1,000 GPH to 8,700 GPH. Ideal for continuous duty to operate in the most rigorous applications.